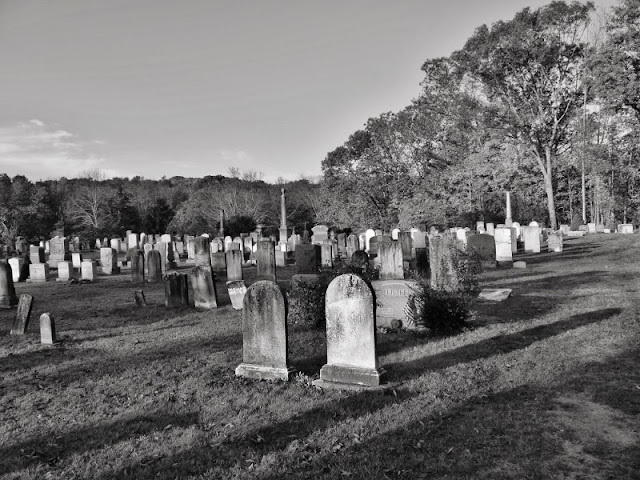 This photo was taken at Union Cemetery in Easton Connecticut. It is rumored to be haunted by the White Lady who appears to be dressed in a white nightgown and has long flowing dark hair covered by a white bonnet. Many people have reported seeing her over the years. There are graves at this cemetery dating back 400 years. This is the Connecticut Valley Psychiatric Hospital cemetery. Some people say they have heard strange voices and glowing green orbs hovering over the grave sites. Sadly, the head stones in this cemetery are marked with only numbers instead of names because it used to be considered an embarrassment to have family members with mental illness. Fortunately, mental illness no longer carries the same stigma. Large stones were recently erected with a listing of the names and the matching grave site numbers of the people who are buried here. I'm skeptical of any reports about ghosts or other supernatural phenomena but I'm also curious. I've witnessed things during my lifetime that seem to defy explanation. That doesn't mean there isn't an explanation , just that I don't know what the explanation is. I don't believe everything I read or hear but I don't accept every scientific explanation as fact either. People make mistakes, even scientists. For several years there were reports of cougar sightings in Connecticut. 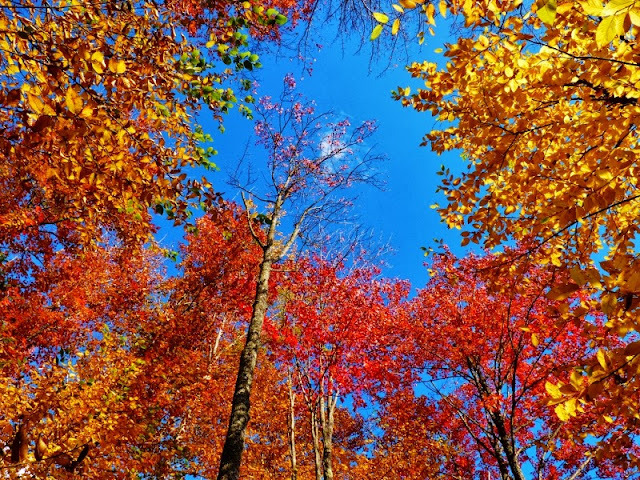 The official word from the experts was that the people were probably seeing bobcats, coyotes or other animals and mistaking them for cougars. It was said to be nearly impossible for a wild cougar to be living in Connecticut. Then one day in 2011 a car ran over a Mountain Lion in Milford, Connecticut. Oops, I guess the experts didn't see that one coming. 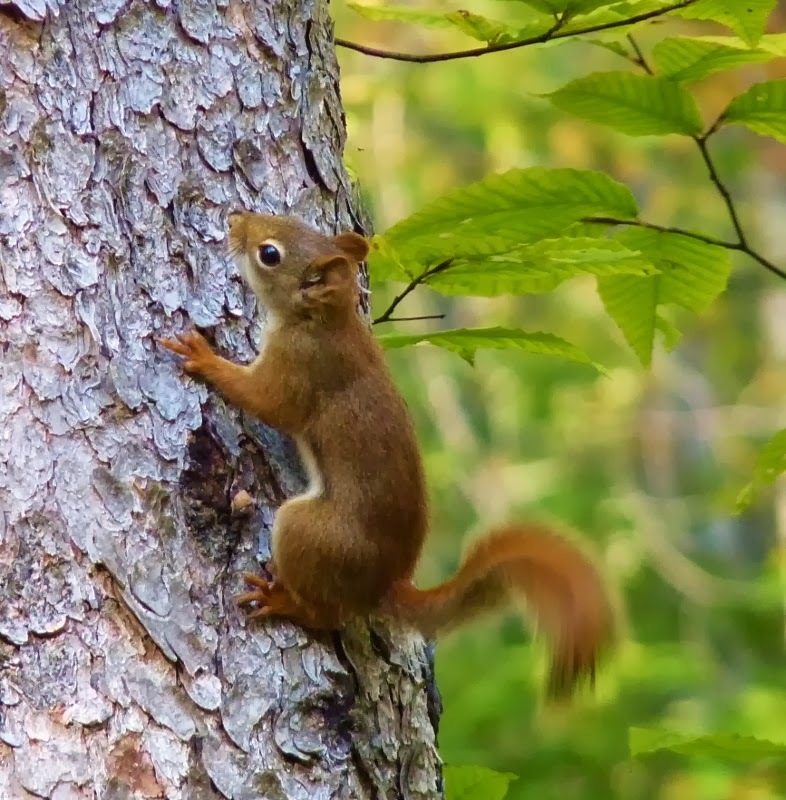 Genetic testing determined that the animal had traveled here all the way from the Black Hills in South Dakota. Sometimes, amazing things do happen. So if you were to tell me you see Bigfoot, a ufo, a ghost, or an Ivory-billed Woodpecker I may not believe it but I'll still look for myself anyway. Just in case-you just never know. 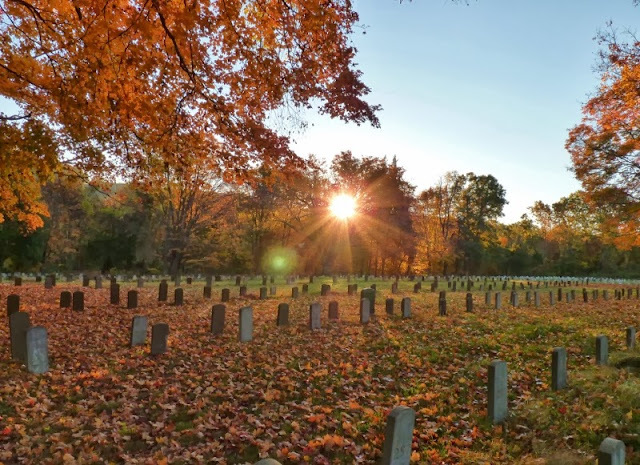 Cemeteries are rich in history and have stories to tell if you take the time to look. They can also be good birding spots. 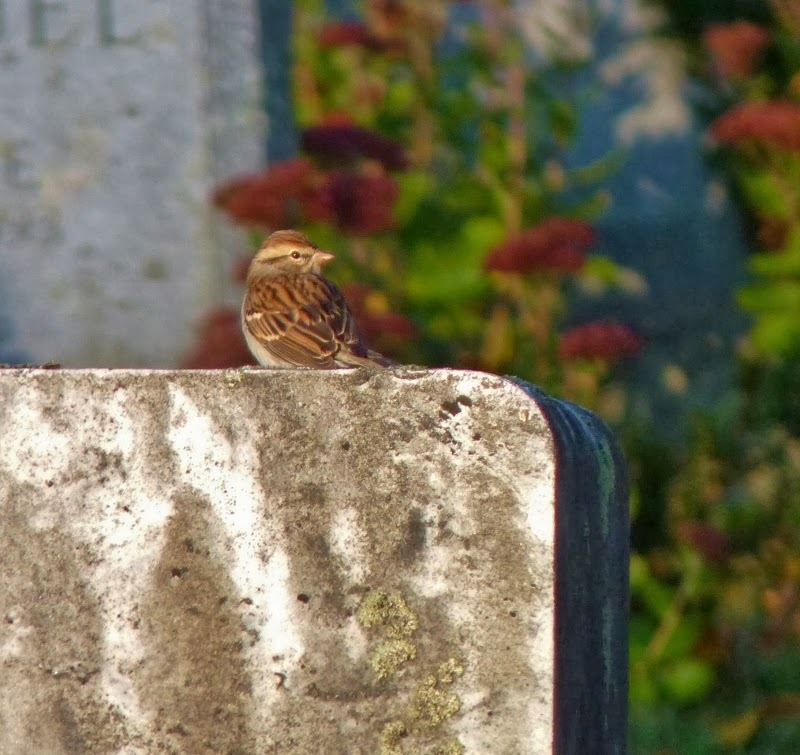 I saw my only two Lark Sparrows at cemeteries in Enfield and Bloomfield. 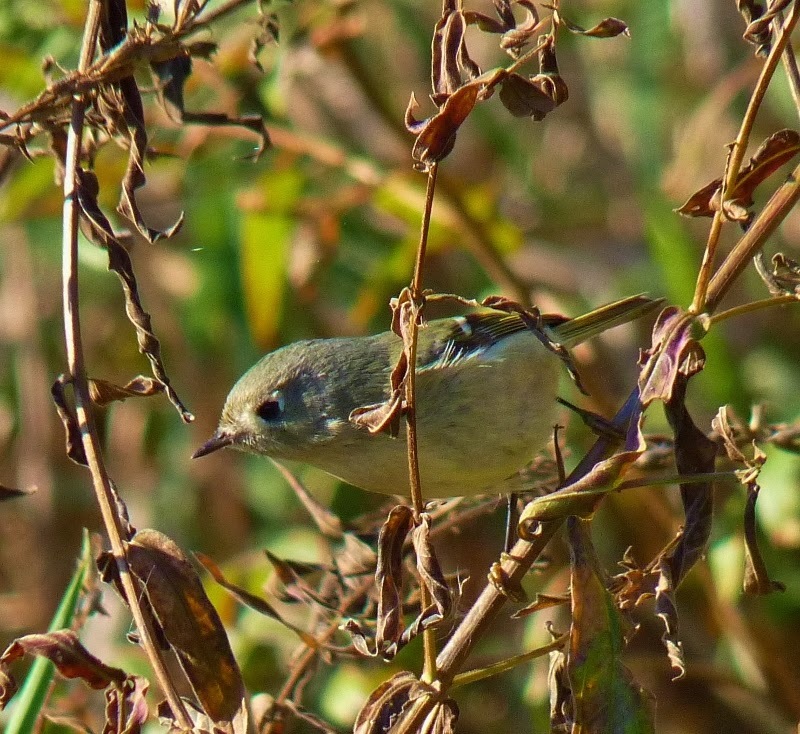 Cedar Hill Cemetery in the Hartford area is a popular birding spot and can be very productive at times. 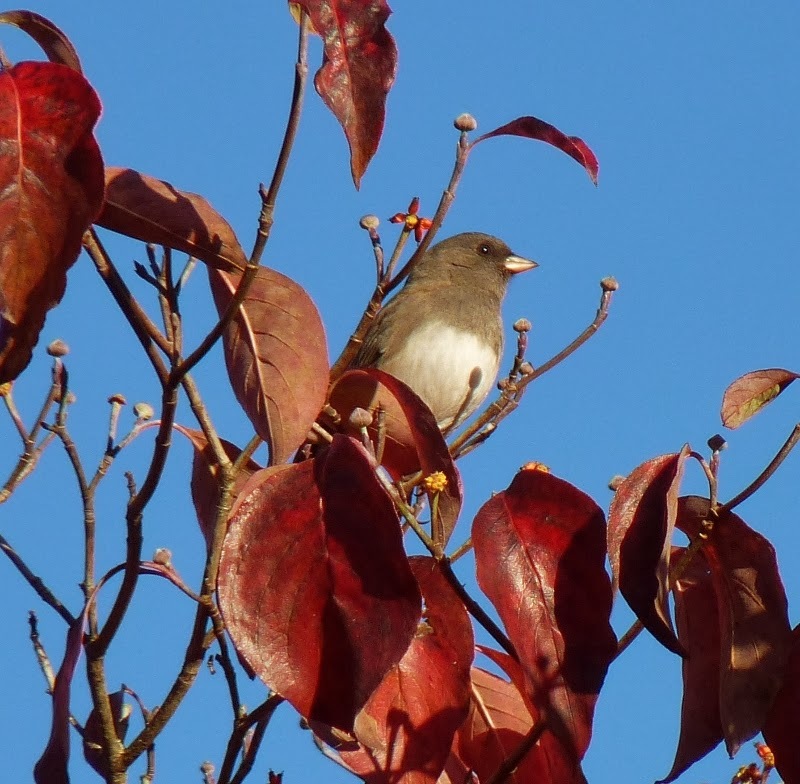 and a Dark-eyed Junco catching some sun on a beautiful Fall day. So did I see any ghosts? You probably wouldn't believe me if I told you so we'll just leave that to your imagination. 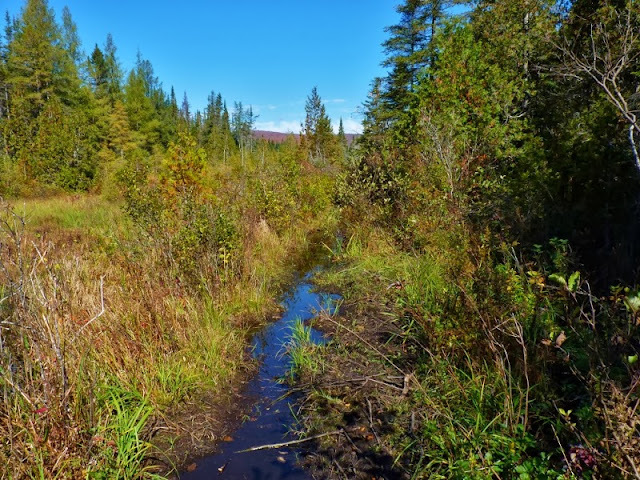 During my stay at Groton State Forest I found a place called Peacham Bog on the map. The bog is estimated to have formed about 7,000 years ago in an area where a glacial depression was formed. 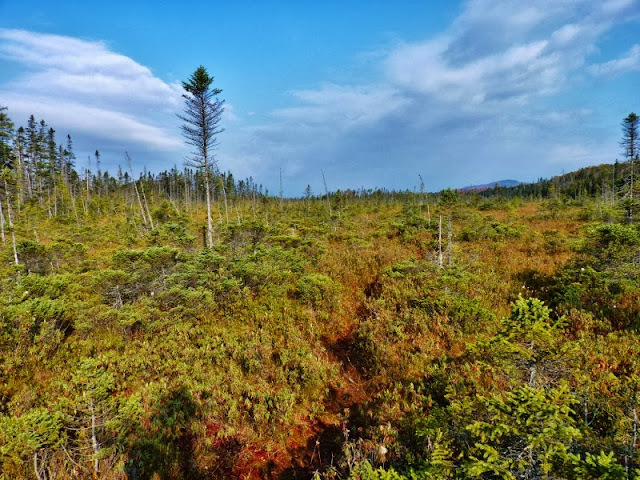 There was a 4.5 mile loop trail through the area including a boardwalk leading through a portion of the bog. 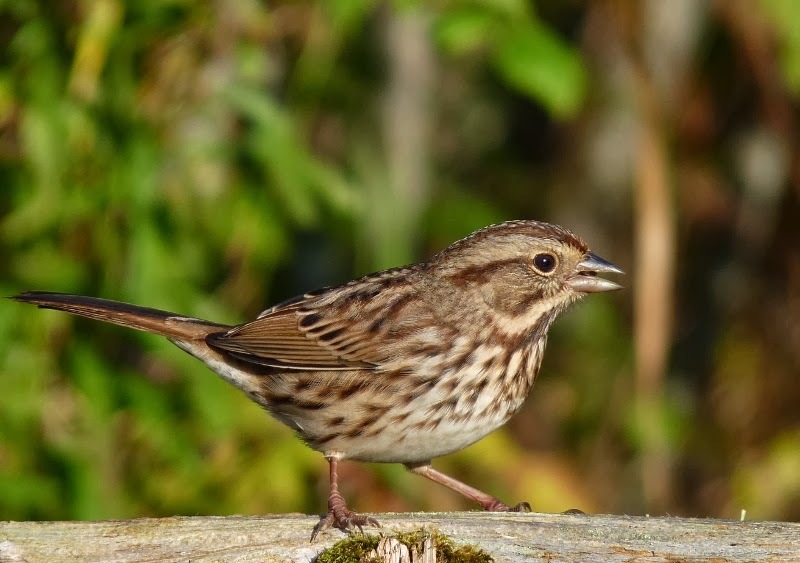 I saw several White-throated Sparrows near the bog and dozens of Dark-eyed Juncos. My most interesting sighting of the day was a grouse I saw along a portion of trail which was lined with spruce trees. I determined that it was a Ruffed Grouse and not a Spruce Grouse. The bird seemed to vanish into thin air when I reached for my camera. I may change that sighting to- Ghost Grouse. I'm currently waiting for verification from avian paranormal investigators. 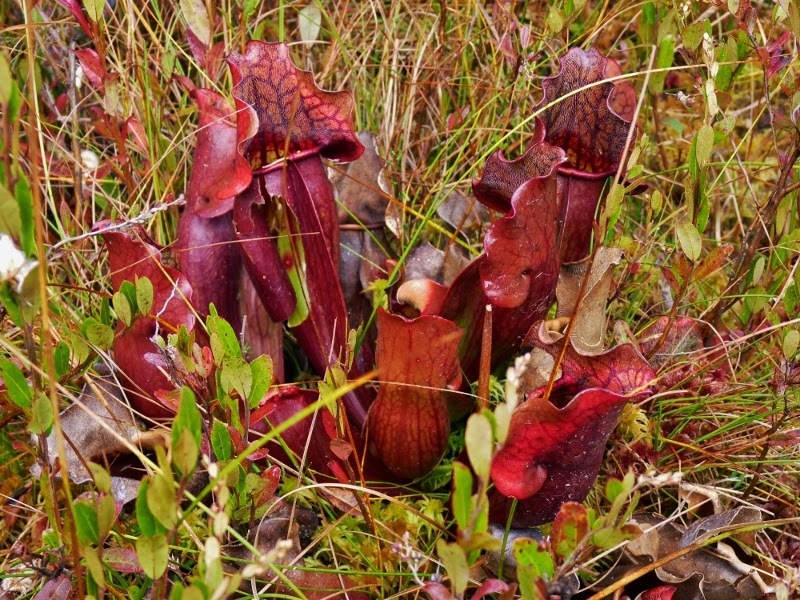 I believe these are what they call pitcher plants. Insects are attracted to the cup of the plants then drown in the liquid within until they are eventually converted into mineral nutrients that are absorbed into the plant. it's enough to make me glad that I'm not a fly. These plants grow in areas where the soil is too acidic for most other plants to grow. The morning that I left my campsite I traveled further north to a town called Victory. The estimated population was 97 individuals as of the year 2000. A sighting of a Black-backed Woodpecker was reported there in the month of September so I thought I would give it a shot. I've never seen one before and thought it would be great to have a blog post with a title something like: "Search For Black-backed Woodpecker Ends In Victory! " 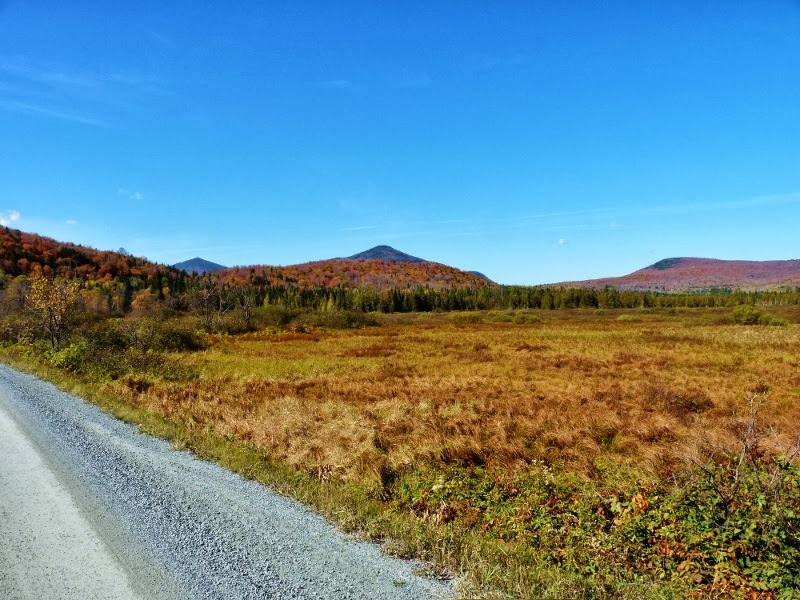 I spent the day searching suitable areas along a road leading through the Victory Basin Wildlife Management Area. I had some nice sightings including Purple Finches, Blue-headed Vireos, and White-crowned Sparrows. I heard more whining Red-breasted Nuthatches than I ever have before. Their nasal sounding calls going back and forth almost made it sound as if they were complaining to each other. Do you know how they have terms for a flock of a particular species of birds such as: "A murder of Crows"? I've decided that from now on that when I encounter a group of vocal nuthatches I'm going to refer to them as: "a nag of nuthatches". I made a good effort and found some great woodpecker habitat at the end of this soggy trail. I did scare up another grouse along the way but in the end there was no Black-backed Woodpecker to be found. The only woodpecker to be found was one little downy. You'd think I was wearing woodpecker repellent or something! I could always change my title to "Search for Song Sparrow Ends In Victory" but it probably wouldn't have the same impact. I spent a couple of days camping in Groton State Forest in Vermont. What impressed me the most about this forest was that it has 7 state parks within its boundaries. 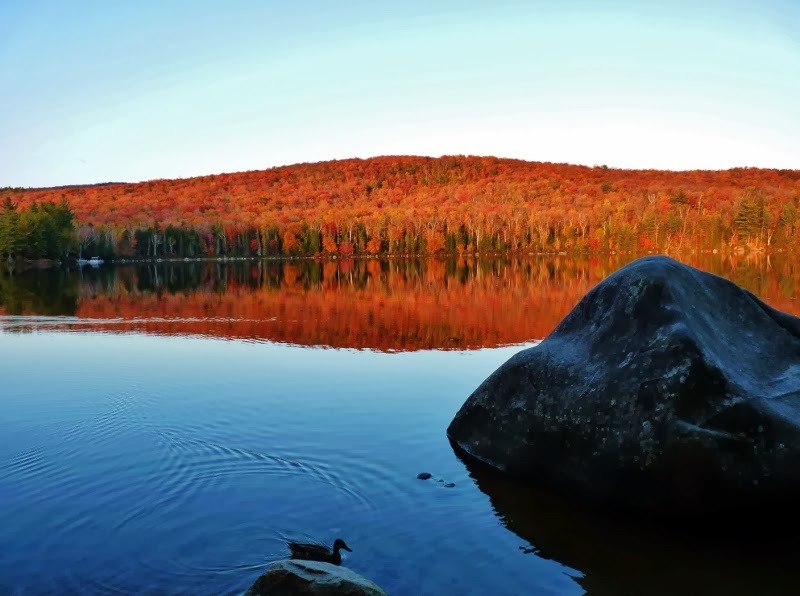 The area has lots of ponds, lakes, and scenic overlooks. This photo was taken at a place called Owls Head. 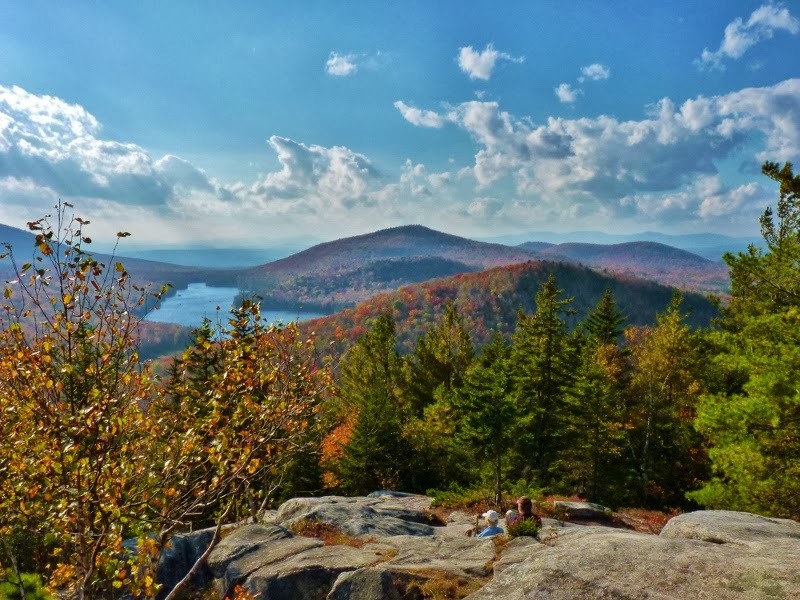 A short trail leads you to the top and offers views of Lake Groton, kettle Pond and the Green Mountains. 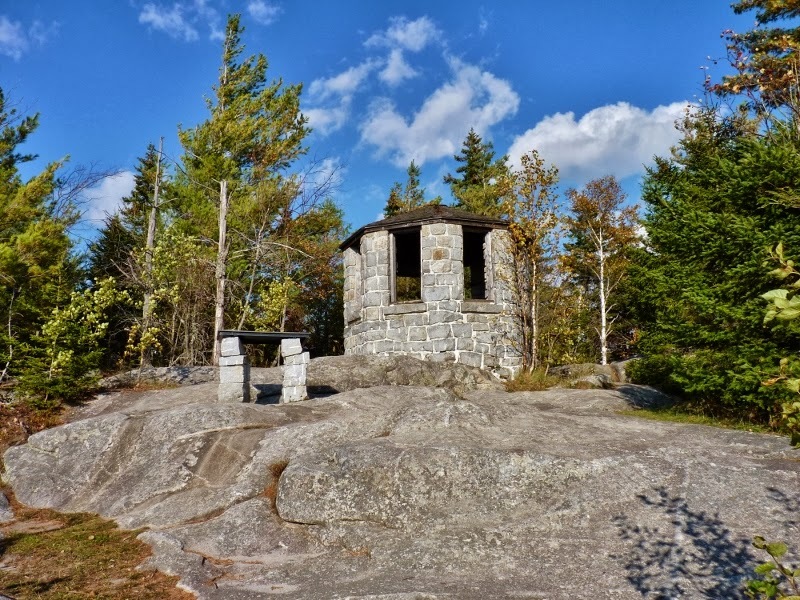 The Civilian Conservation Corps lined the trail on the way up with convenient stone steps and built this tower at the top. All this work was done in the 1930's and has stood the test of time. I wonder why they didn't try a similar program during this past recession? I spent most of my time around the park just hiking and looking at the scenery. There were a lot of people from out of state driving around looking for Fall foliage. I stayed in a cabin at Ricker Pond State Park. I found a few species of birds on the day of my arrival including Golden-crowned and Ruby-crowned Kinglets, Yellow-rumped Warblers, Red-breasted Nuthatches, a pair of loons that always seemed to be on the opposite side of the lake, a Pileated Woodpecker, Brown Creeper, a healthy population of American Robins, and one lonely mallard that liked to come out at sunset. There was a Red Squirrel that was kept me company. I think he was trying to tell me where all the birds were hiding but unfortunately, I don't speak fluent squirrel so it was difficult to get a conversation going. At the end of the day I headed back to the cabin to contemplate my plans for the next day. 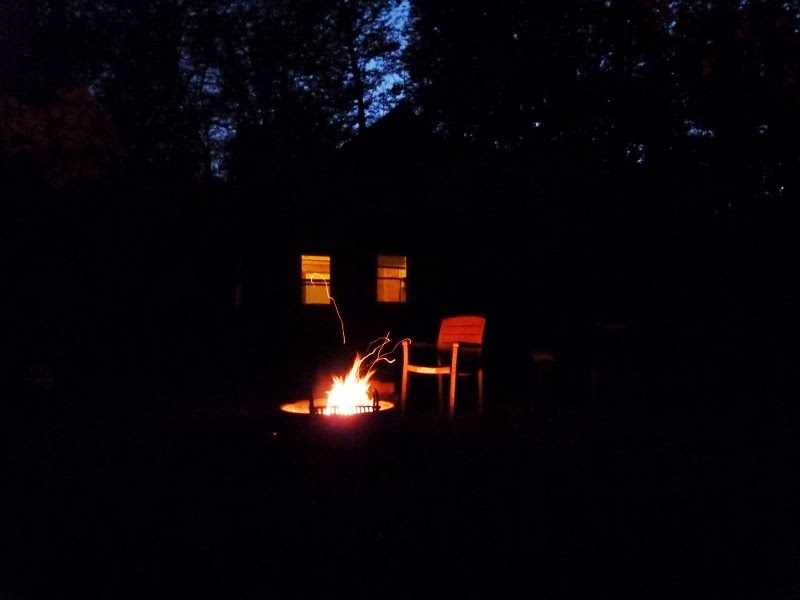 That's me sitting in the chair by the fire performing one of my magic tricks.